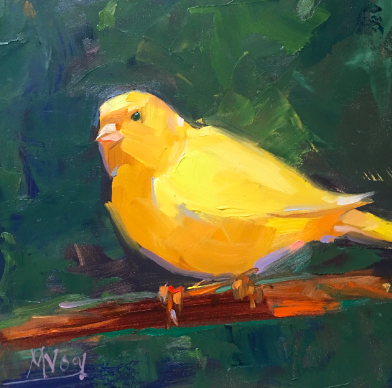 Meyer Vogl » WHAT’S NEW? 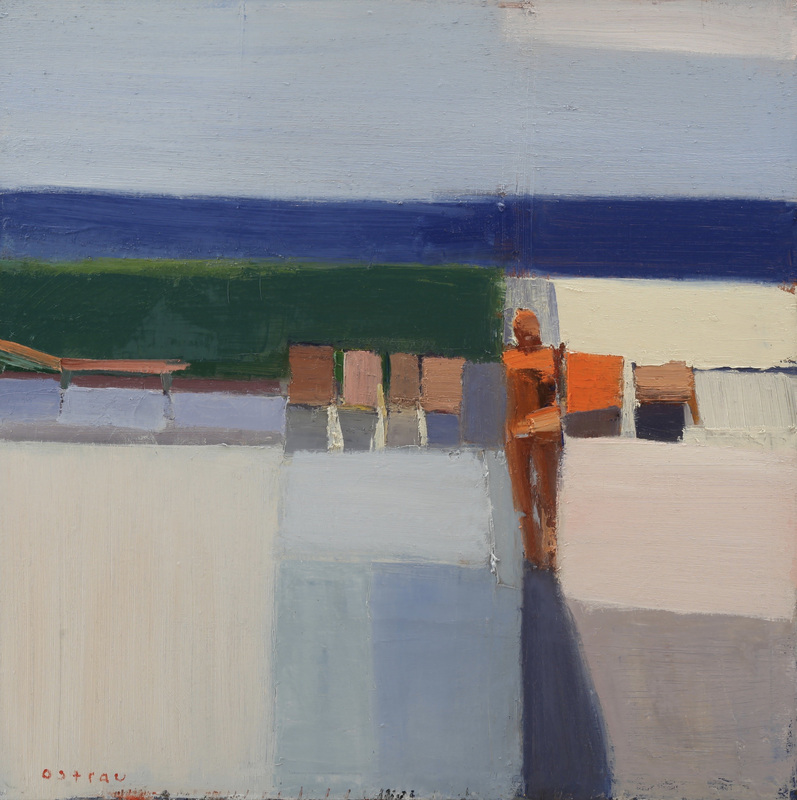 Meyer Vogl Gallery: Which piece of artwork in the gallery are you most coveting at the moment? 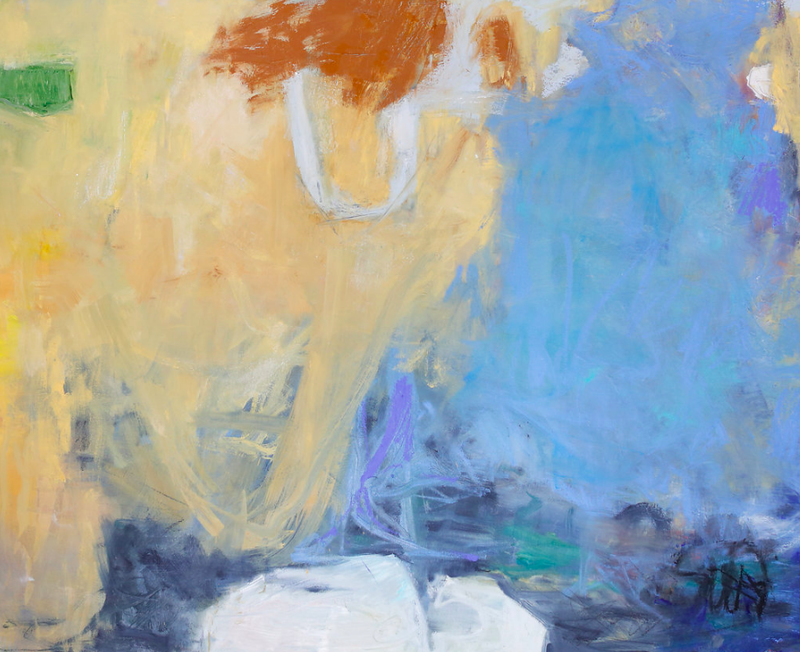 Laurie Meyer: Marissa Vogl painted a series of incredible work inspired by a trip we took to to Ischia, Italy. 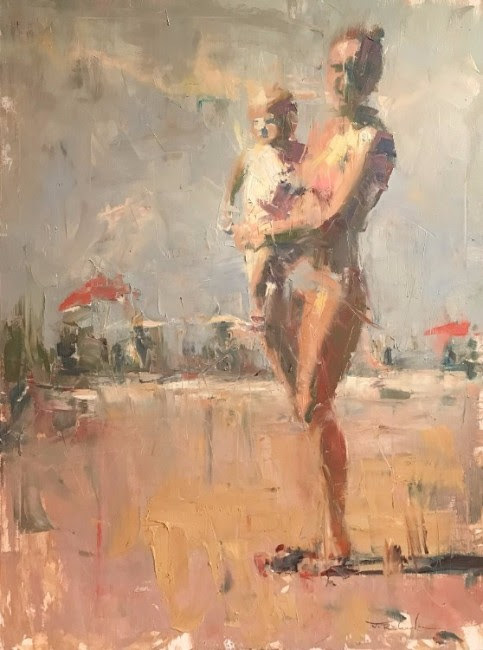 Linens and Boats is a painting that is simply brilliant; Anne Blair Brown’s Outdoor Entertainment shines in fantastic light. MVG: If a real-estate genie granted you homes in any three places in the world, where would they be? LM: I love this question because I truly dream about this! Park City Utah; Tuscany; and the perfect Caribbean island. MVG: If you could go back and paint in any art period, which one would you choose? LM: No doubt, I would be in France with the then new school of artists, eventually dubbed the “impressionists.” I’d learn light, shadow, and atmosphere from these painters and then party in Paris with them. MVG: If you could instantly be an expert on any subject, what would it be? MVG: What’s the best prank you’ve ever played on someone? MVG: Which piece of artwork in the gallery are you most coveting at the moment? 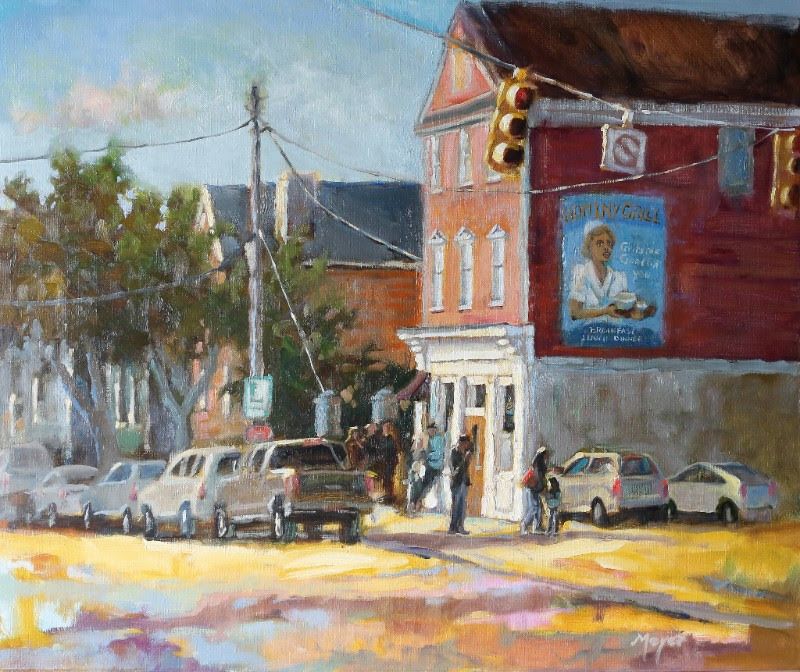 Vogl: Anne Blair Brown’s Light Stroll. 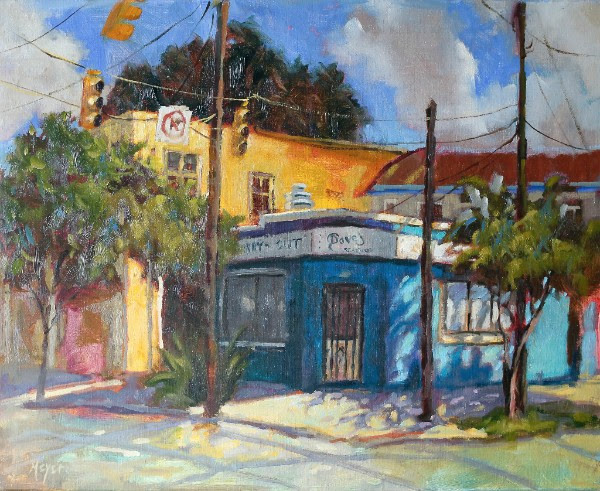 Thelight and palette choice creates such a relaxing and warm atmosphere, along with the feel of a quieter Charleston where traffic is nonexistent. She makes this ordinary subject so romantic. A cabin in Montana on Flathead Lake, a two-acre lot with a marsh view on James Island, and a simple Italian villa in Sant’Angelo of Ischia, Italy. MV: If I could be an expert in any subject it would be biology — the science of plants, animals, and all of mother nature’s wonders. MVG: What’s a hobby you never picked up, but wish you did? MV: My desired level of white-water kayaking. I dabbled back in college and still raft but not at an extreme level. Sara Burd: This changes all the time! 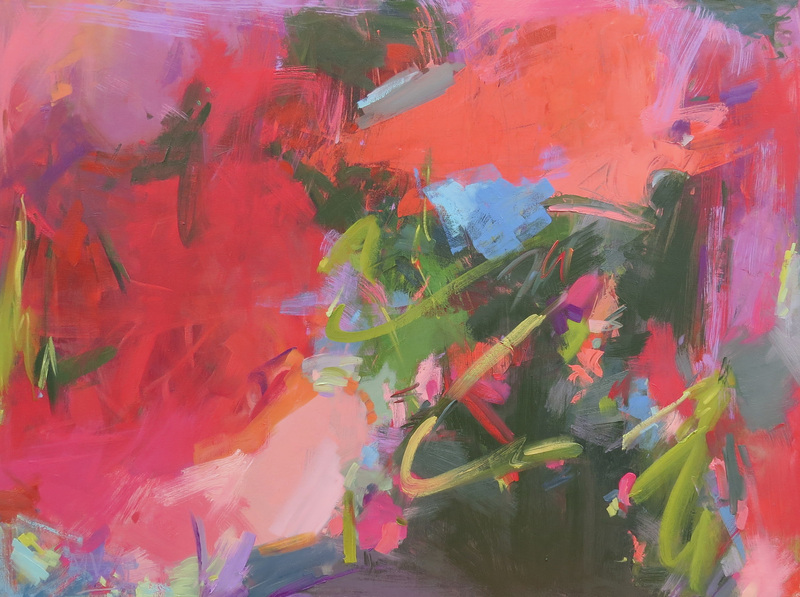 I am loving the big Sandy Ostrau piece, Morning Glow. It’s gorgeous and makes me feel like I’m living in her work. The texture on it is delicious. MVG: What’s something surprising about working in an art gallery that people might not expect? SB: You need to be very well versed in communication skills. I find myself having to navigate different types of conversations and interactions from all sorts of people and am so thankful that I have a communication background to help me connect with our guests. I’ve also become quite the self-taught concierge for our out-of-town clients. MVG: What podcast are you currently loving and why? SB: Ologies! It’s so good. This woman interviews experts in different fields. My favorite episode was Egyptology or Phonology. MVG: What’s your nickname and why? SB: Wawa — my little sister couldn’t say “Sara” when she was a toddler. MVG: If you could only save one piece of art from your home during a fire, what would it be? SB: My small Sandy Ostrau painting that my mom bought me for my 24th birthday. I love i! Alex Lindstrom: I am really lovingCarrie Beth Waghorn’s faces series. I think that they would be amazing horizontally in a big space. AL: I am huge on Dax Shepard’s Armchair Expert. He is so funny and interviews very interesting celebrities and really gets into their personal lives. I also have been tuning into the Wall Street Journal’sSecrets of Wealthy Women podcast. They are very short episodes and give great business and financial advice. AL: New Zealand, South of France, and Greece. All with the most spectacular scenery! MVG: What’s your favorite dessert and can you find it in Charleston? If so, where? AL: Definitely creme brûlée. Stella’s has a wonderful creme brûlée and tiramisu also. My second would be at Wild Olive. They have this dessert where it is fresh gelato with espresso poured over it. I could eat it every single night! Debbie Kelley: The big, beautiful Sandy Ostrau! Morning Glow. DK: I love learning about people and their love for art. Everyone is so unique in what brings them joy! DK: I have always wished I could play the piano. That was not part of my young family life. And our children had no desire, nor did we try to wish it for them. MVG: Favorite spot to grab a cup of coffee? DK: Starbucks. In fact, it’s always been on my bucket list to work at Starbucks. So, I did it! I’ve been working at Starbucks for a year now (in addition to the gallery). Between art and coffee, entertainment is easy. Katie Geer: Laundry Day in Ischia by Marissa Vogl has been stopping me in my tracks this week. Along with about 1,985 others. (See Director’s Picks above). KG: My mother recently surprised me with a portrait of my two-year-old daughter, Mae. If there was a fire, I’d be running out the door with Mae (and my other daughter, Elliott) in one arm and the painting in the other. By the way, in case you didn’t know — my mother is Laurie Meyer. Lucky me! KG: I’ve always had a coffee dependency (can’t survive without it in the morning), but recently that do-or-die morning routine also includes listening to The Daily from the New York Times (while drinking coffee, of course). For an art fix, I also like Art History Babes. MVG: What’s the strangest family tradition you have? KG: Oh no, they’re going to kill me for spilling the beans! Every Christmas Eve, with a glass of champagne in hand, we take out the markers and draw mustaches, glasses, and the like on the faces of people who sent us Christmas cards. Please don’t stop sending them to us! 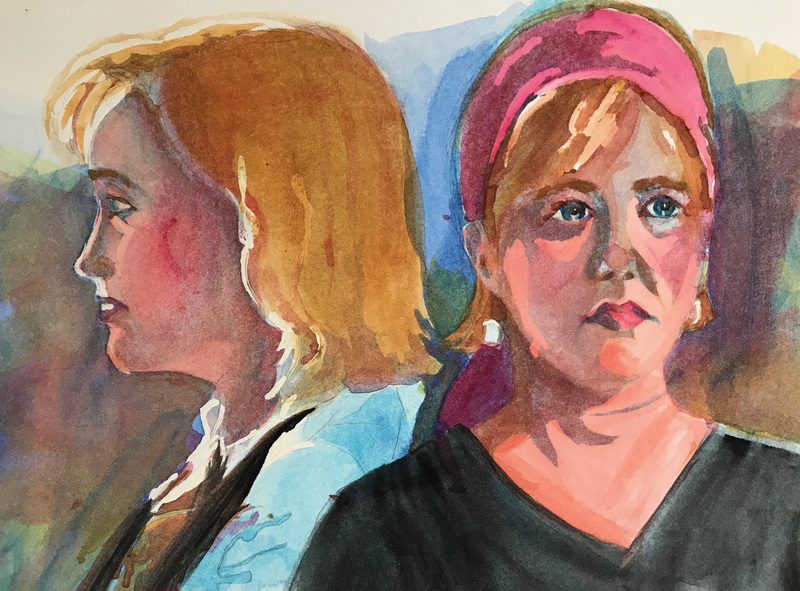 Julie started her art consulting business in August 2015. 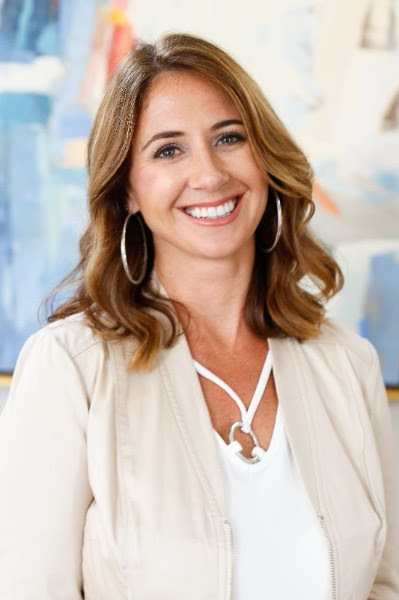 Since then, she has helped individuals, interiors designers, and corporate clients in art advisement and acquisition. 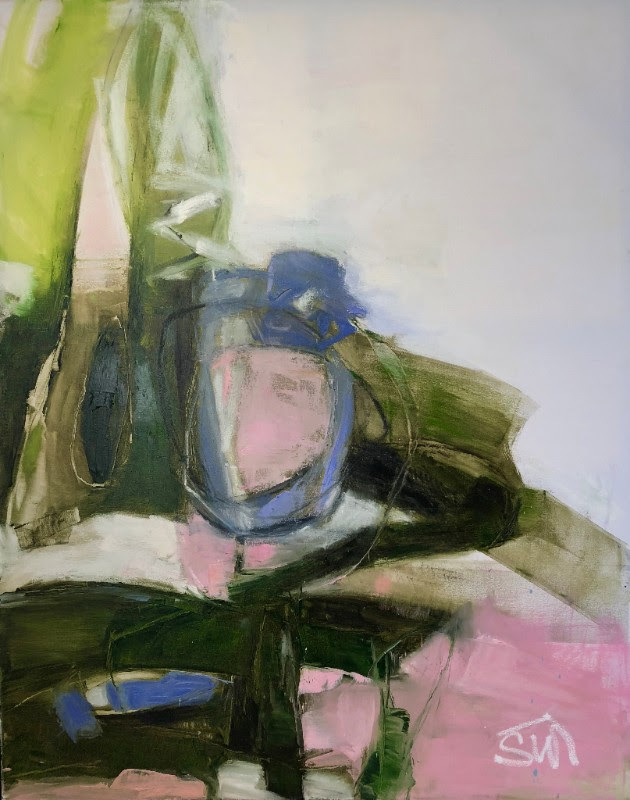 Her comprehensive database, featuring works by contemporary artists from around the country, includes an array of sizes, mediums, subject matter and prices — ensuring clients find the perfect piece for their space. 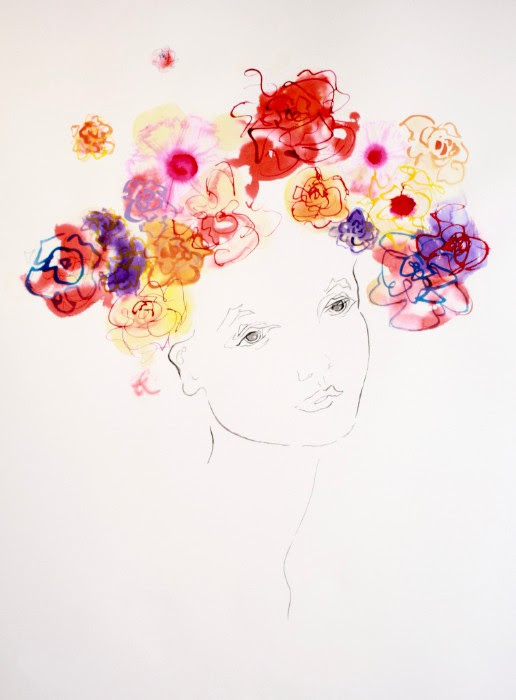 Find out more about Julie’s art consulting business here. We are excited to help spread the word about a new line of limited edition prints recently released by our friends at The Letters NYC. 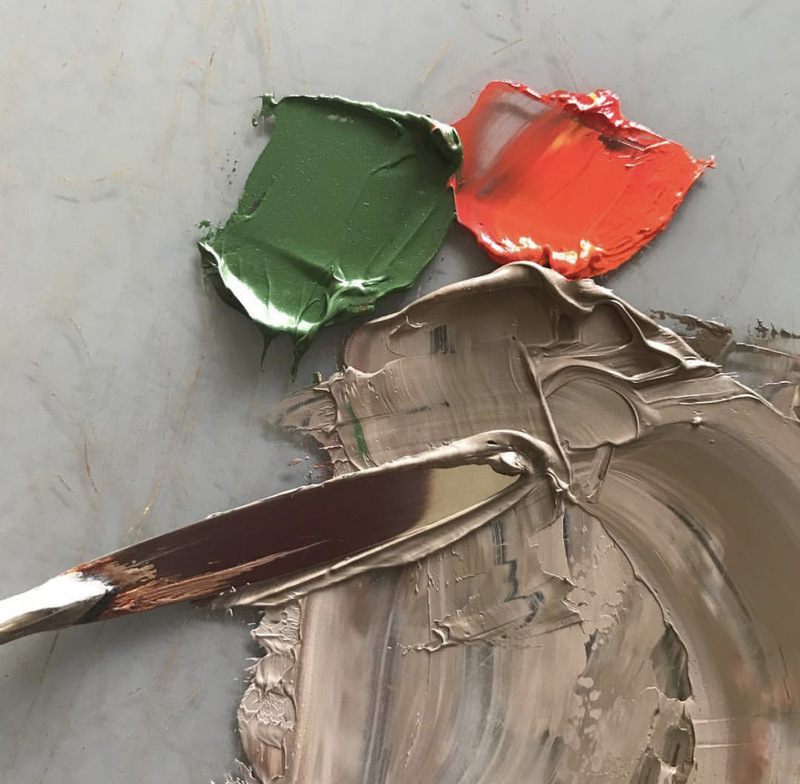 Founded by New York City art advisor, Lara Björk, The Letters NYC publishes prints to please children and adults alike (you may remember Lara from curating the exhibition Bicoastal at the gallery a couple of summers go). The illustrations are done by Pauline de Roussy de Sales, who has lent her hand to the likes of Vogue, Bobbi Brown, Man Repeller, and Marc Jacobs, to name a few. The letters are activated with cheeky odes in the spirit of each subject, with tributes to pop culture, local favorites, iconic artworks, artists, and movements, from James Brown’s saucy dance moves to our sweet Carolina peaches. 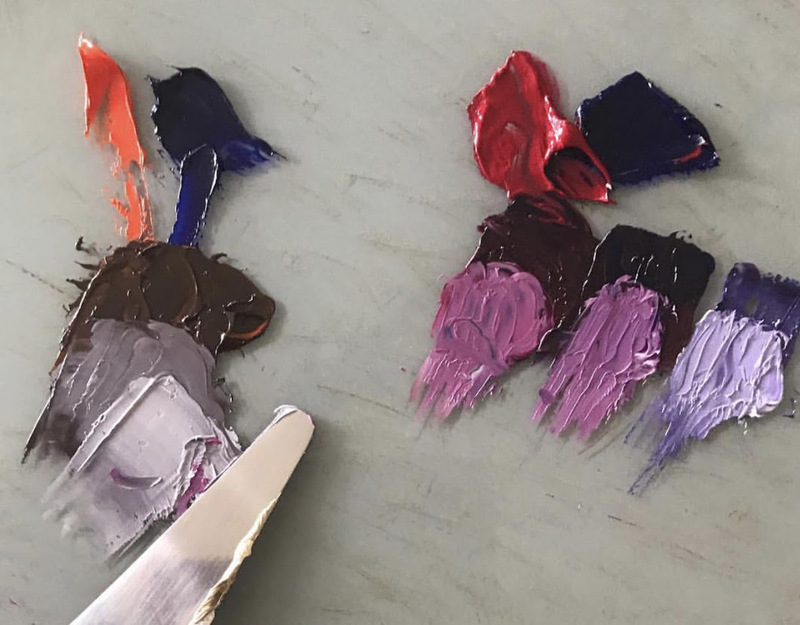 We know the colors and forms will appeal to the little artists (looking at you, Jasper Johns), and the prints ship with an accompanying letter reference guide for the adults as well. 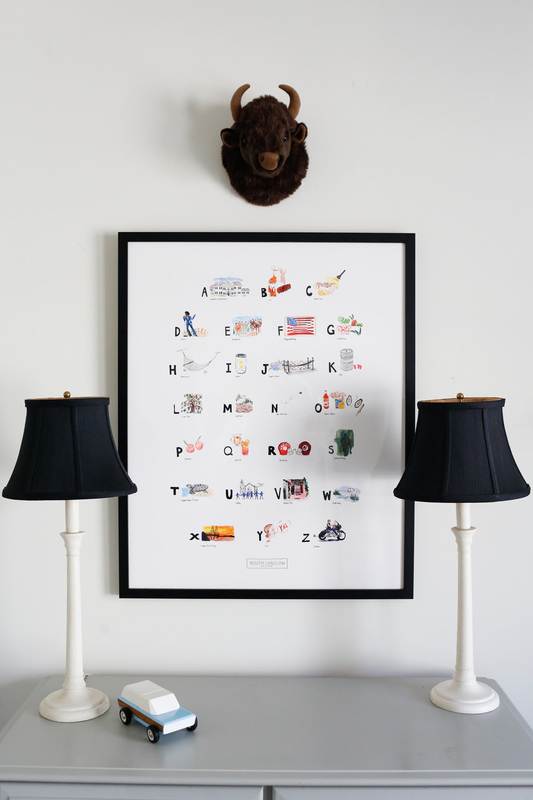 The ABC prints include odes to South Carolina, New York, California, and Contemporary Art. 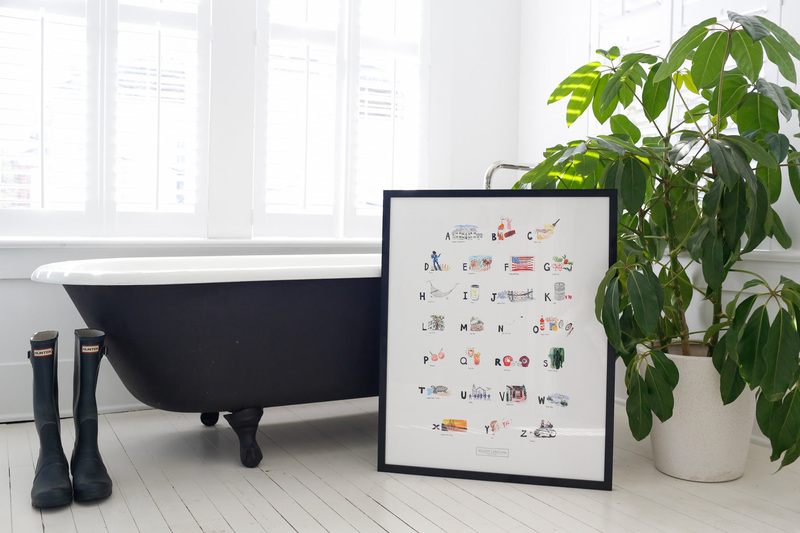 Coupling beautiful images with smart references, The Letters NYC is a go-to resource for the perfect gift for a nursery or house warming. Find out more about Letters NYC here. 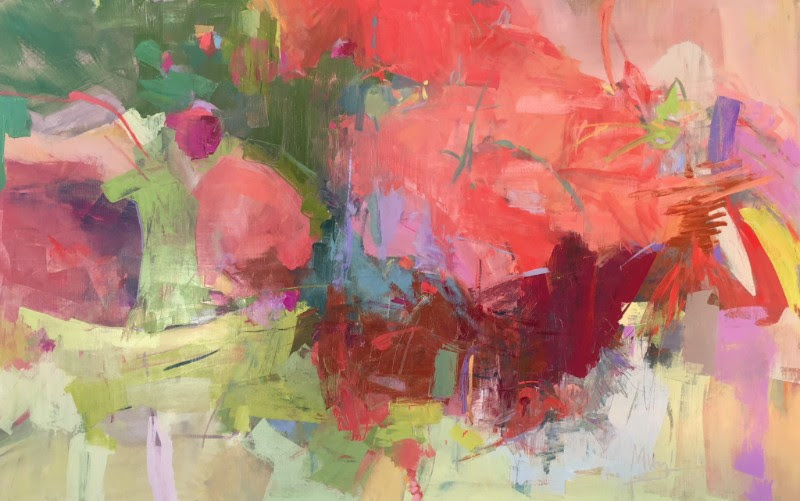 In honor of the group show Pink Street, we have decided to round up some of our favorite pink spots in Charleston. 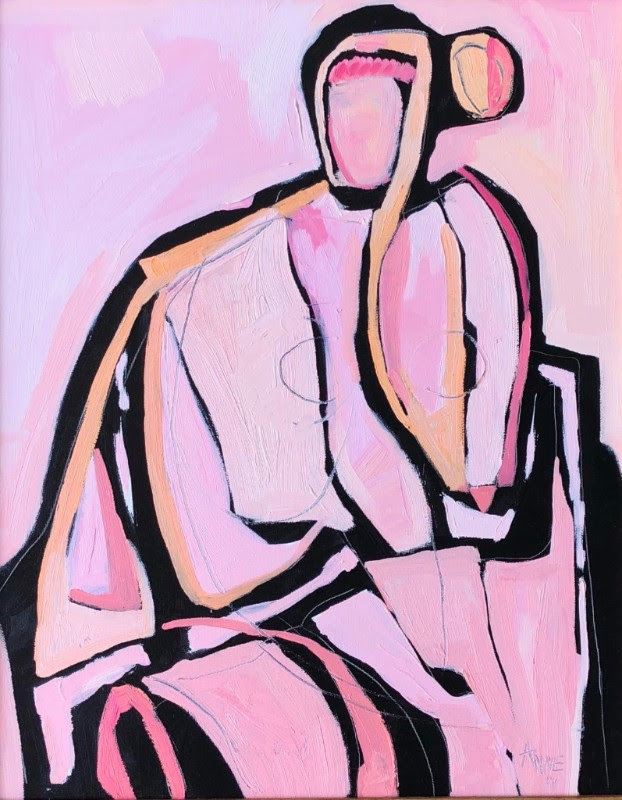 The inspiration for the show came from the varying shades of pink at our very own street corner (Meeting and Queen Streets), but soon we were noticing the color everywhere we looked. 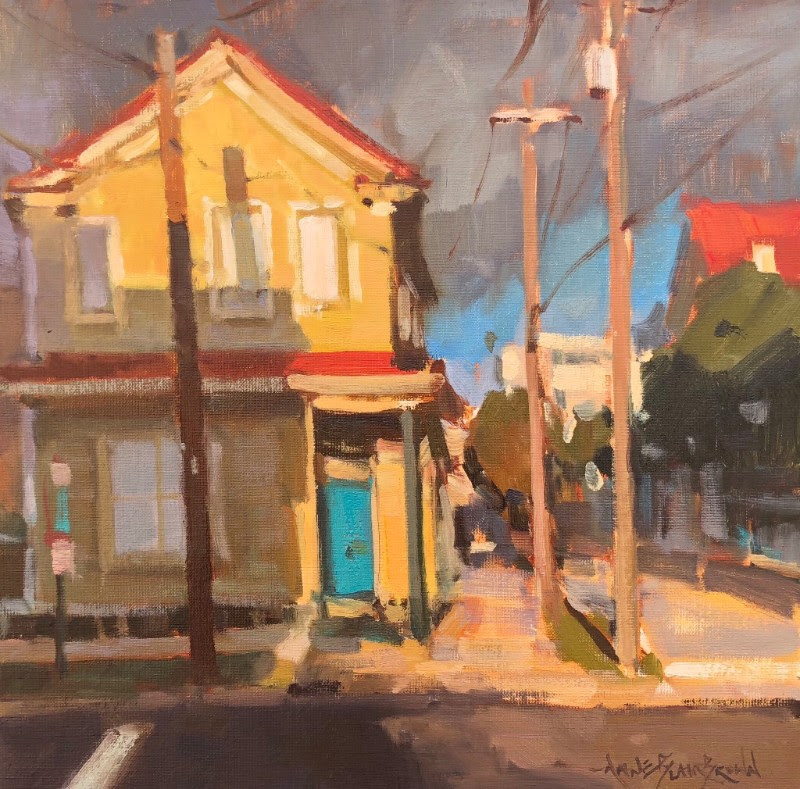 Our lovely little intersection brings so much color to Charleston’s already brilliant cityscape. 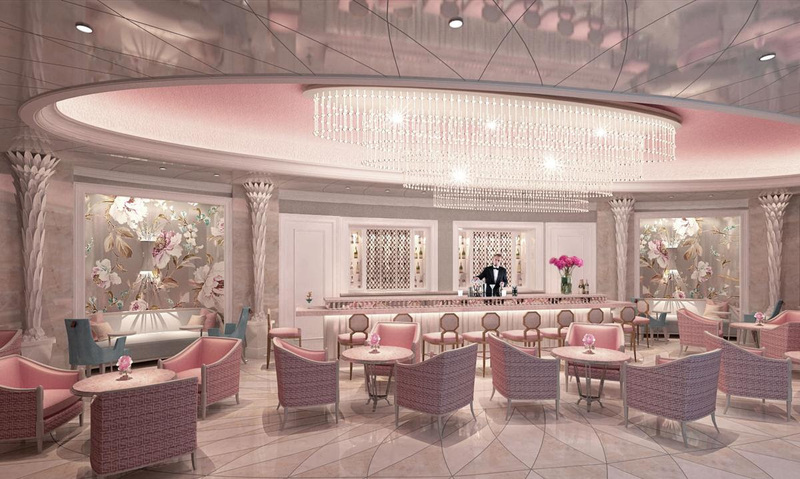 The brand-new Hotel Bennett has a gorgeous bar that brings all of our pink dreams to life. 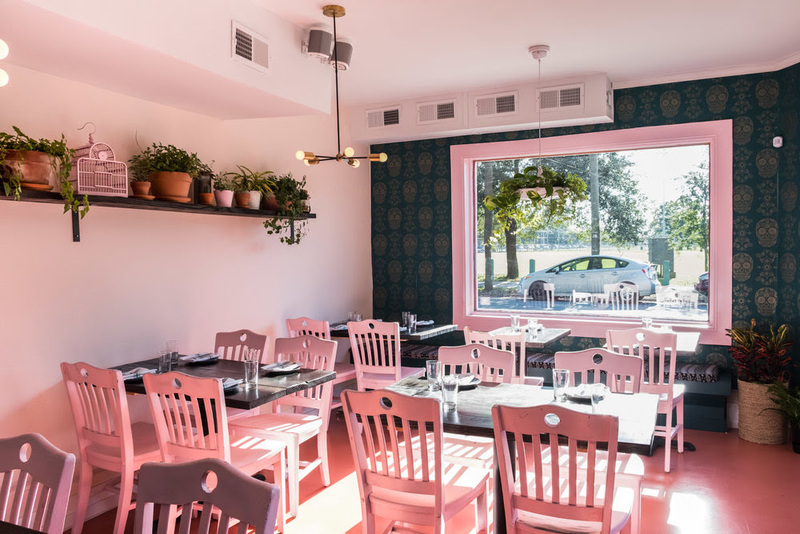 Semilla’s millennial pink interior makes the modern Mexican-inspired restaurant that much more enjoyable. 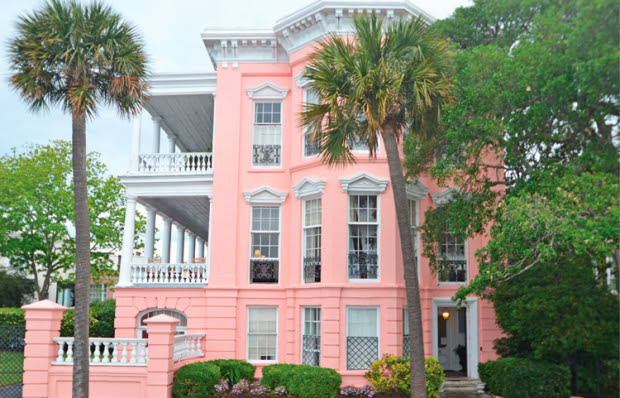 The Palmer House has been an icon since 1848 and is certainly one of the most notable pink places in Charleston. 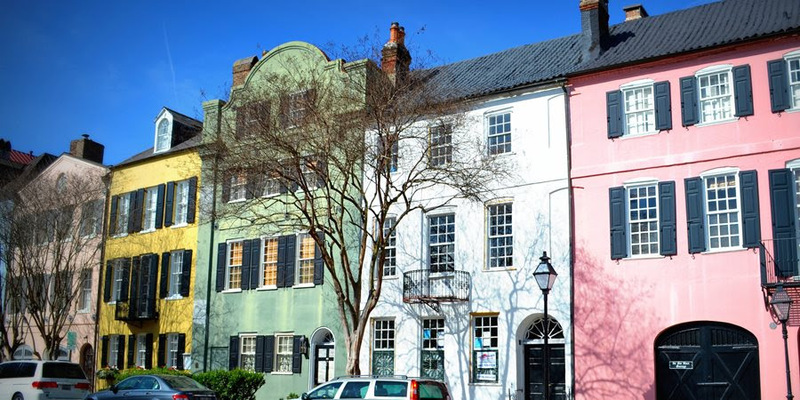 Rainbow Row is one of the most well-known blocks in Charleston. Nestled between colorful houses lies this perfectly pink house. Our favorite spot for shrimp and grits is deliciously pink. 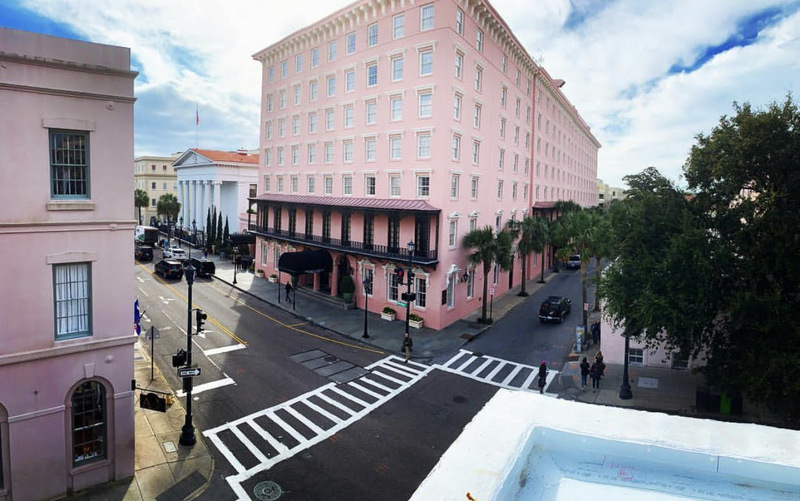 What’s your favorite pink spot in Charleston? 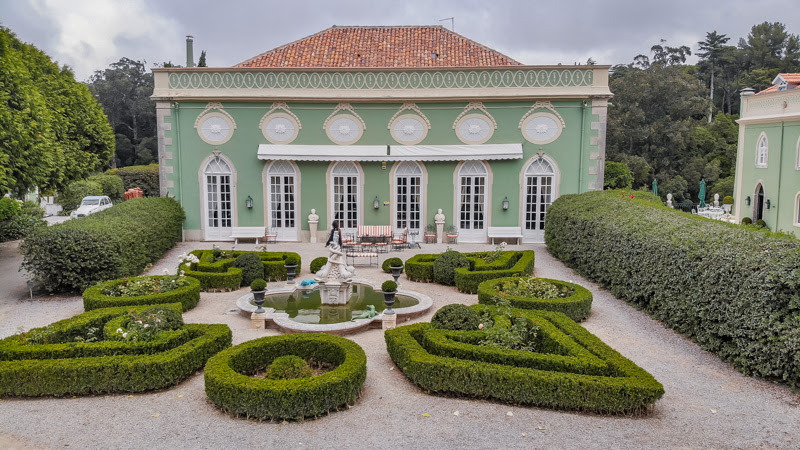 Casa Holstein Quinta Sao Sebastiao. 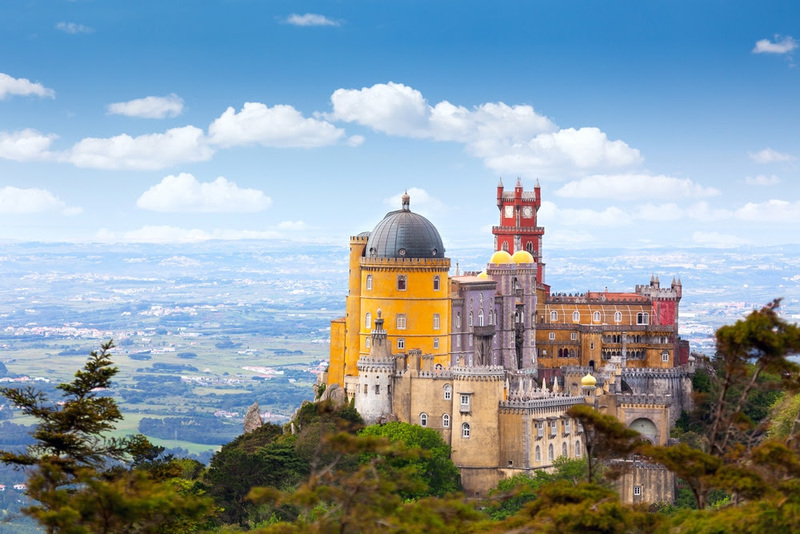 Dine in some of the finest Portuguese restaurants and spend some time in Lisbon and other neighboring towns. For pricing information or other questions, please email katie@meyervogl.com. 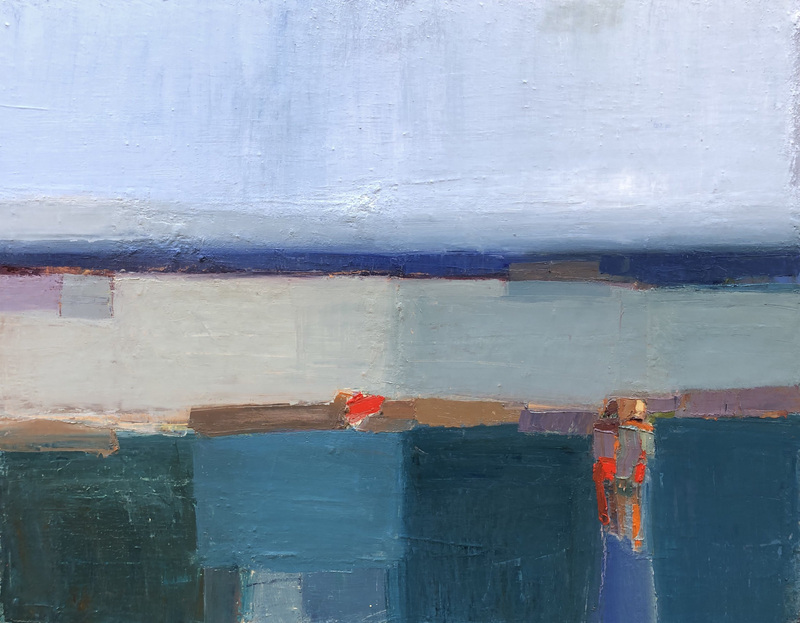 If you’ve been in the gallery lately, you’ve probably spotted the color-rich and water-inspired works by local artist Susan Colwell. 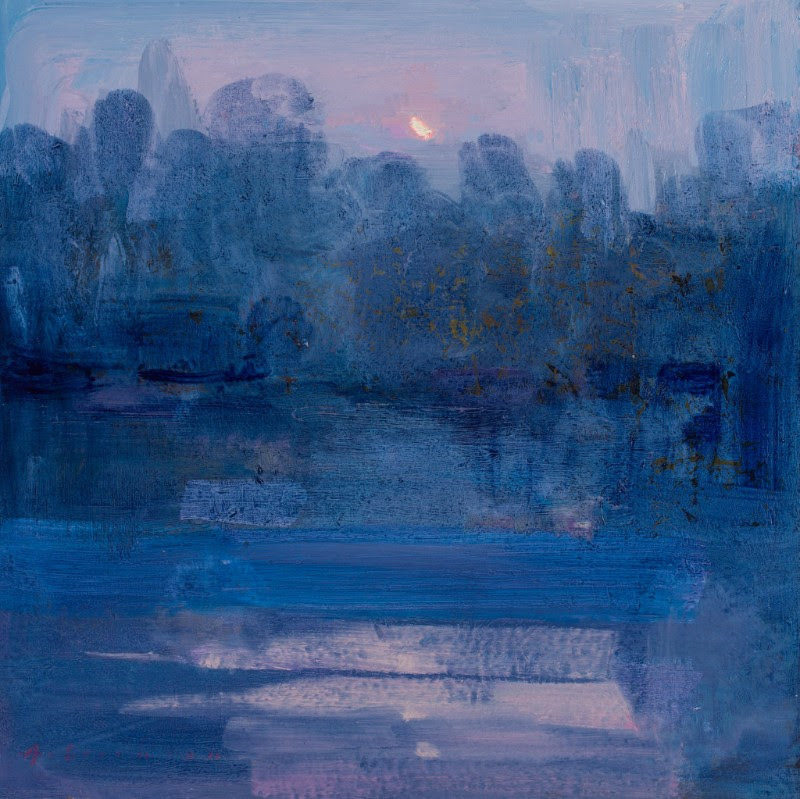 Her work depicts dreamy horizons and waterscapes pressed upon raw edged paper. 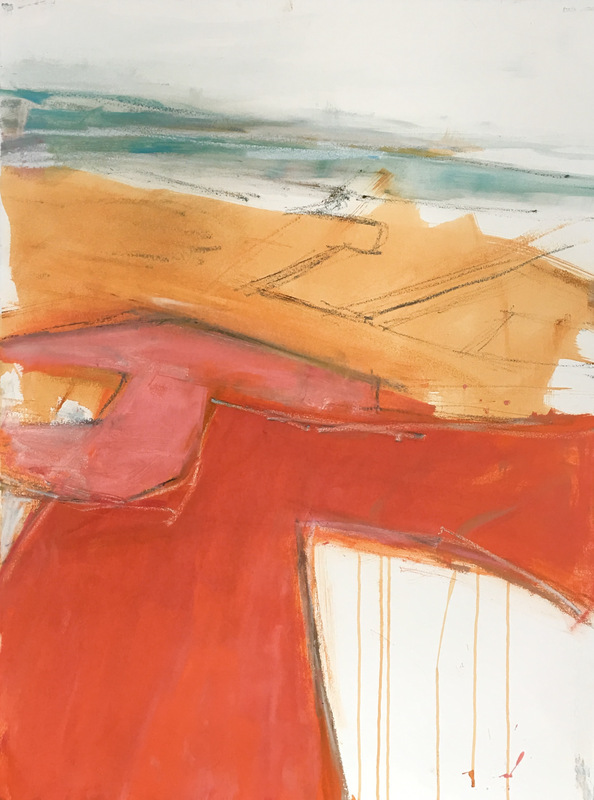 Colwell’s creations are monotypes — one-of-a-kind prints. To create monotypes, artist draw or paint on a smooth plate such as glass, copper, zinc, or acrylic glass. The plate is then pressed against paper to transfer the ink or paint so that the final product is a mirrored image of the original drawing/painting. 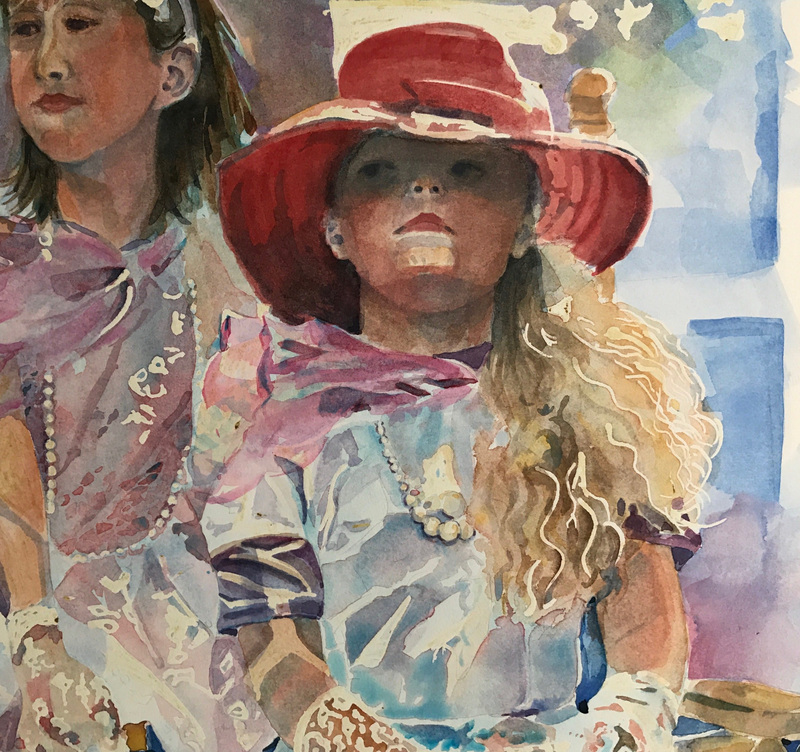 This artistic process allows for variation and experimentation. 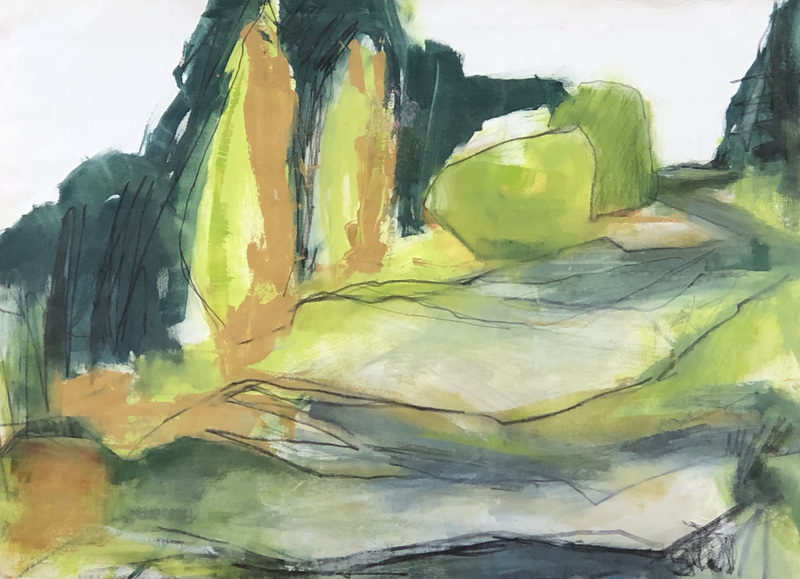 Artists can change up their monotypes by applying varying pressures to different spots on the plate or printing in layers. 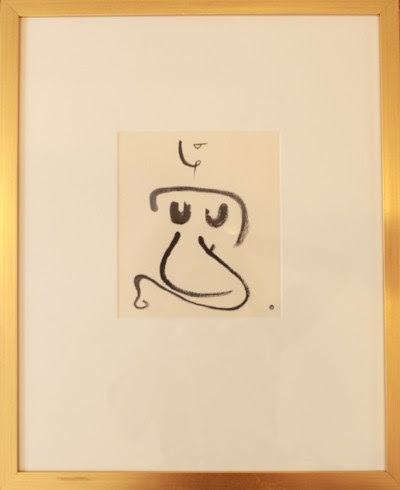 It’s important to note that monotypes are different from printing in that they do not use an etched surface to replicate the same exact image as one would do with a printing press. It’s hard to pinpoint who created the first monotype, but Giovanni Benedetto Castiglione was known to use this method in his artwork in the 1640s. Other notable artists that used monotyping include Chagall, Degas, and Gauguin. 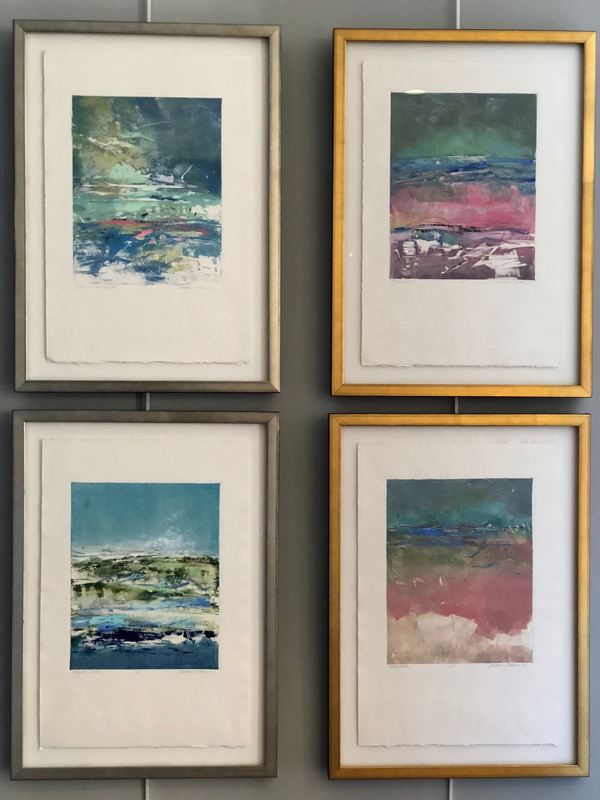 One major characteristic of monotypes is that it gives the final work an element of chance because ink placed during the transfer process can change. That’s what gives Colwell’s art energy and unique personality. Next time you’re in the gallery, take a closer look. Welcome to the inaugural “Our Favorite Designers // Their Favorites Pieces,” where interior designers we love fill us in on what’s got them excited in the gallery right now. First up is Hannah of Charlotte-based Hannah Ozburn Interiors. We love Hannah for her sophisticated eye and the way she embraces color. 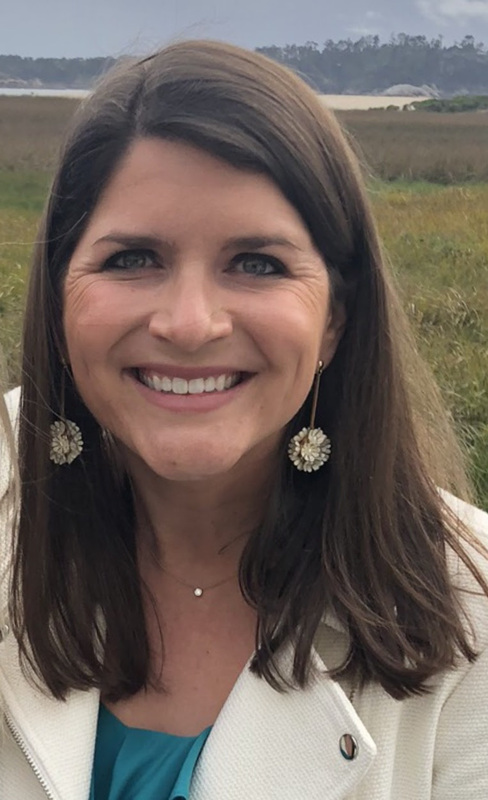 Hannah recently moved to Charlotte from Nashville, but worked under interior designer Steven Gambrel for 6 years in NYC. 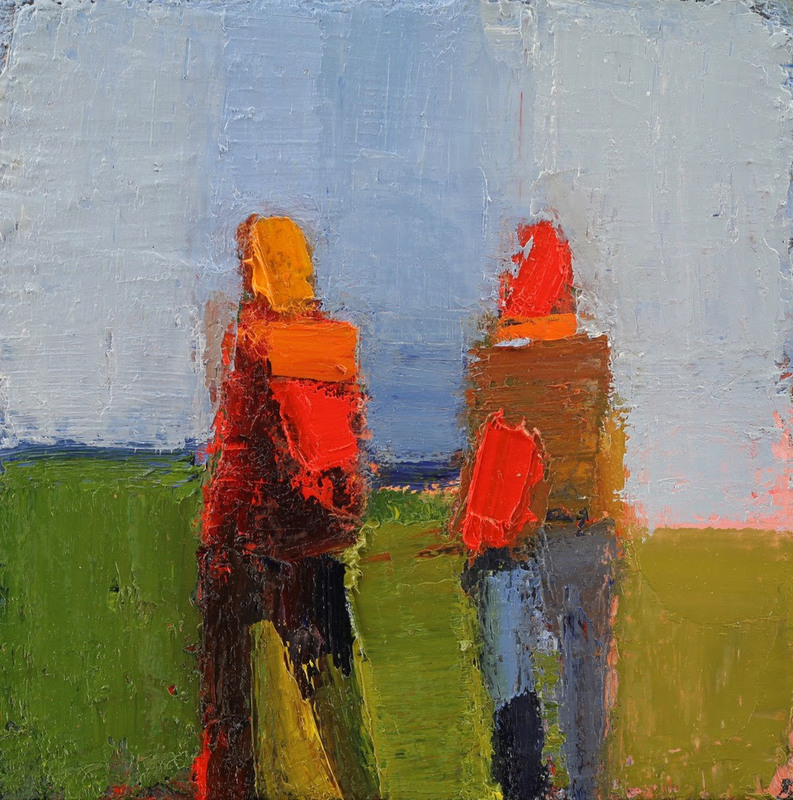 He is known for his bold use of color, so a lot of that is seen in Hannah’s work. 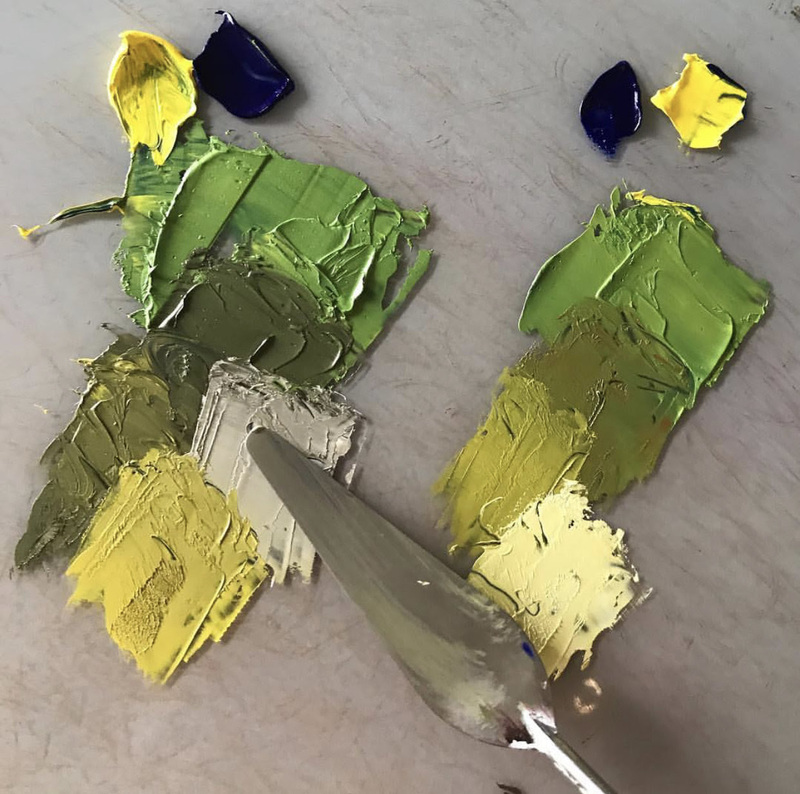 She loves using color, mixing old with new, and most importantly, creating spaces that people can live in, as many of her clients are younger families with children. 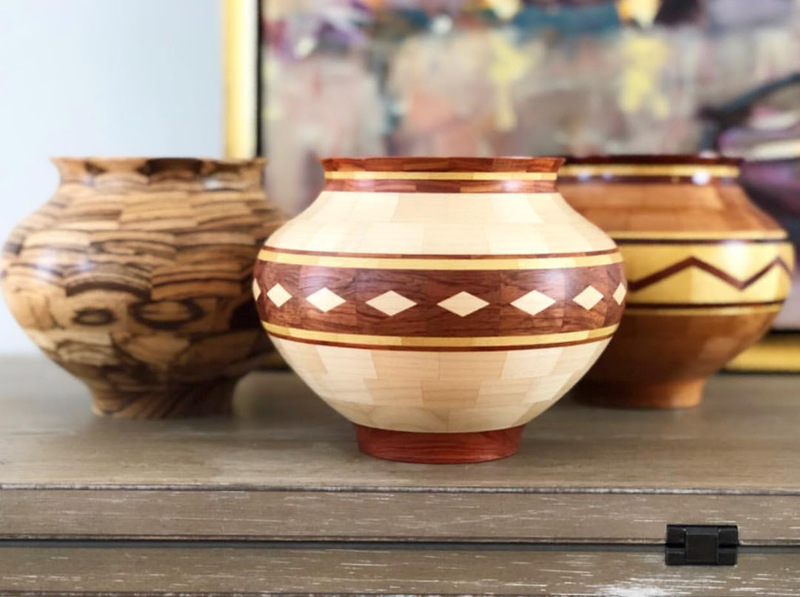 Follow along and see Hannah’s recent projects. 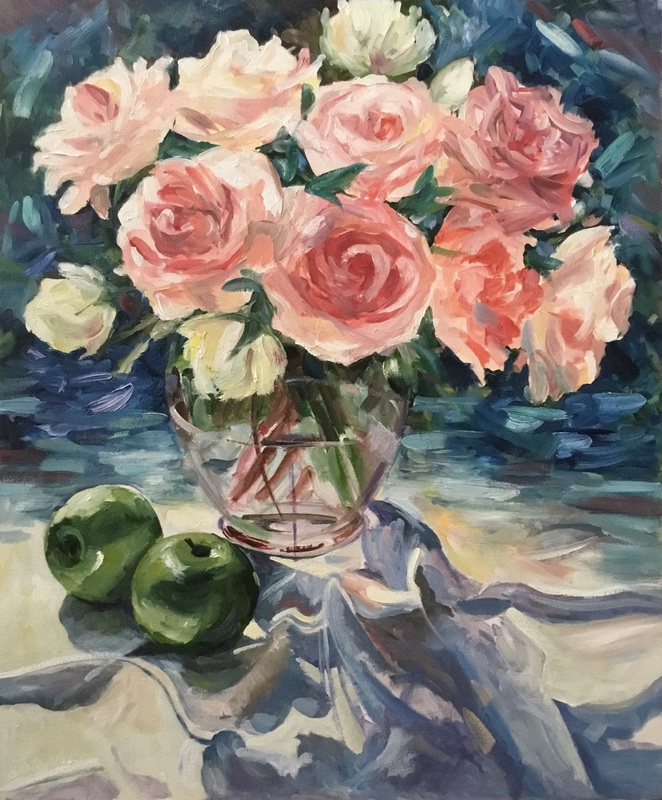 Sign Up for the Spring or Fall Workshop! 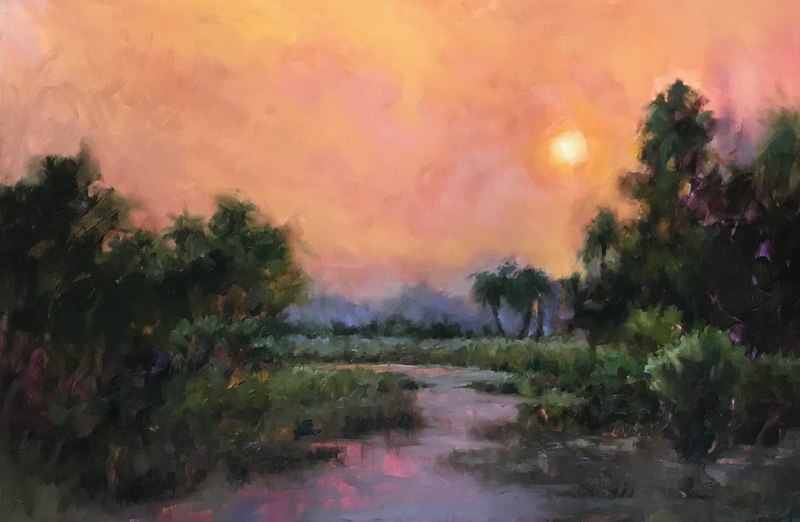 In this three-day workshop, Marissa addresses why it’s important to give yourself the limitless freedom to explore different styles, paint applications, tools, and mediums (such as cold wax). 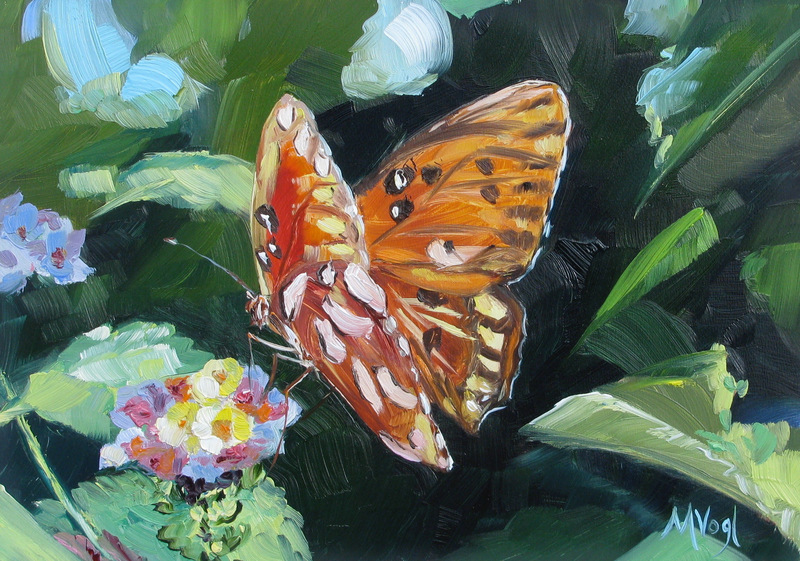 Students will look at how exploration results in paintings with spontaneity and energy. 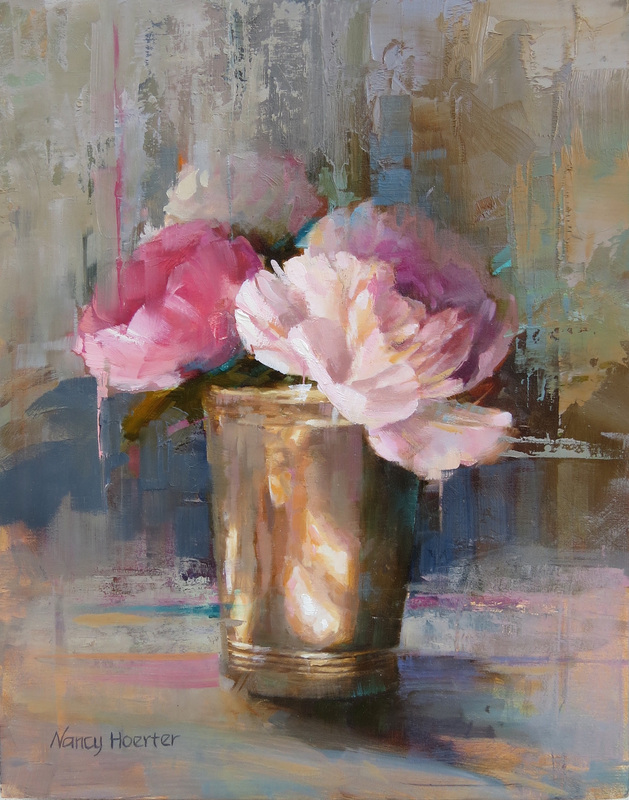 Learn why understanding various techniques, mediums, and tools is important to an intuitive and painterly style of painting. 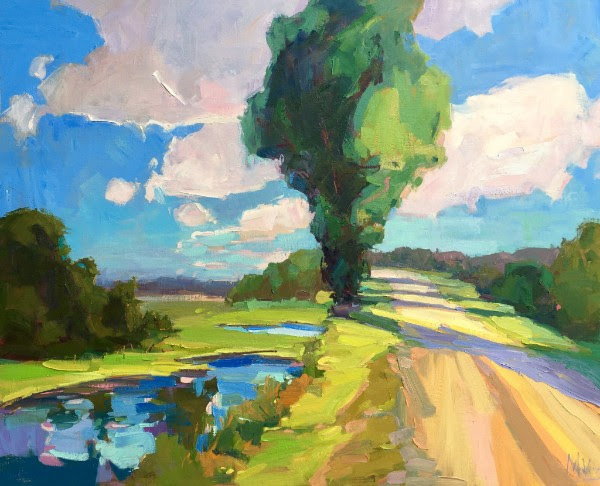 *Requirements: I will be working with students who have a basic understanding of oil paint, have their own portable (plein air) easel, and know how to work their equipment. (A $300 deposit is due upon signing up. The balance can be paid during the workshop). Contact Katie now to get your name on the list or with any questions you may have. Wait … One More Workshop! 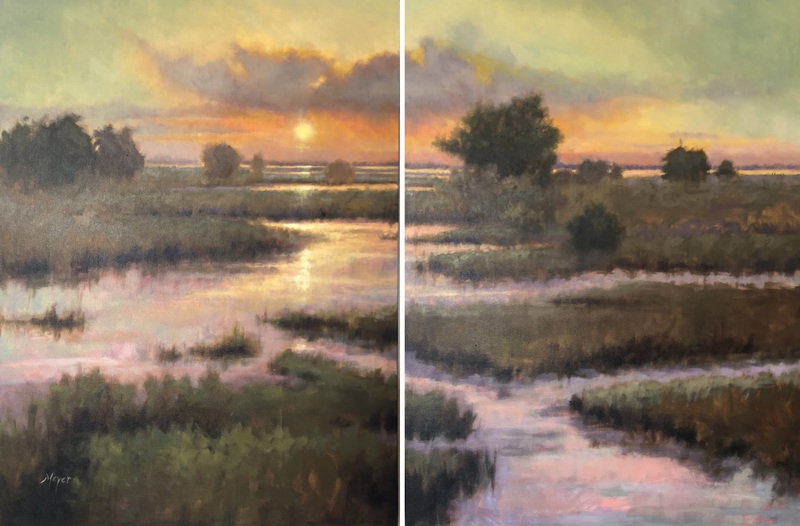 In addition to the Meyer Vogl Gallery workshops, Marissa will be teaching a two-day version of her “Freedom to Explore” workshop in McClellanville, SC through Field & Flow. Contact Fallon Peper at fallon@fallonpeper.com to sign up. A more accurate list would include 20 or 30 (or 40). But here’s a look at 10 standout pieces of artwork from 2018. Some are available; some have found homes; all excite me incredibly. According to Artsy, coral has quite a history in fashion and society. Coral used to be worn as jewelry by the Egyptians and Romans as it was believed to ward off evil. It was used as jewelry in the Victorian Era and popped up again in the 20s and 60s. It took quite a long time for society to name the color “coral”, as the color did not have a specific association for centuries. It was sometimes called “yellow-red.” It wasn’t until 1910 when the use of cadmium red paint (which included a wide range of orangey-red colors) by the impressionists gave way to the popularity and recognition of coral. Coral started popping up in artwork by the era’s greatest artists, like sunrises by Claude Monet. 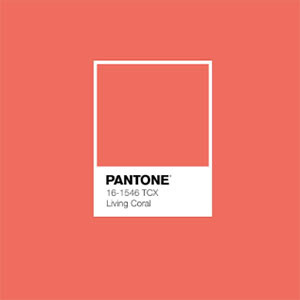 Pantone chose Living Coral to represent protection and good energy in this new year. Marissa Vogl Answers: Why Birds? 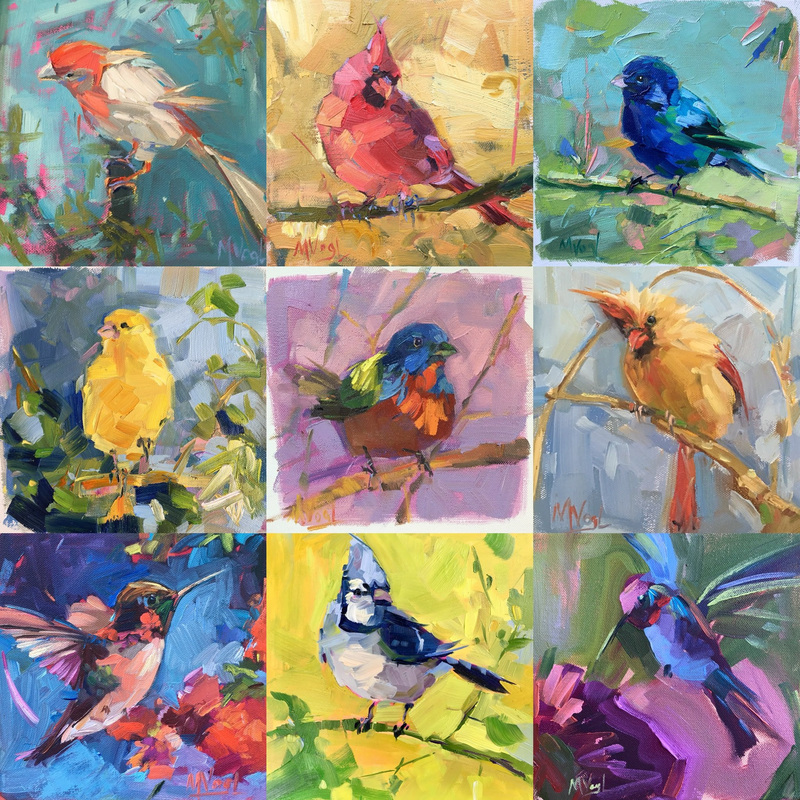 Love Marissa Vogl’s bird paintings? The artist explains her connection to the feathered animal. “Vogl, my last name, means bird in German. Beyond that, I’ve always had a serendipitous relationship with birds,” she says. “I grew up in Montana; March and April can be surprisingly bitter cold there, with a landscape layered in rock-hard layers of ice, which, weeks prior, was snow. For as long as I can remember, my mother would stand at the window searching for the first sign of Spring. To her, it was a bluebird. 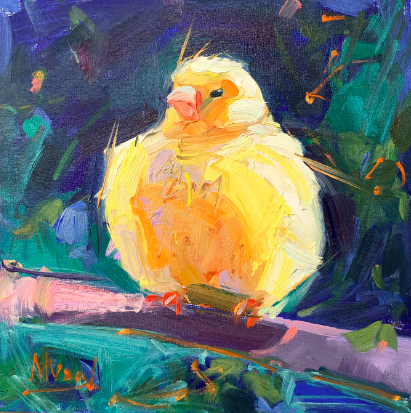 Look for more about Marissa and her love of birds in the February issue of Art Mag. Are You on our Bird Watchers List? 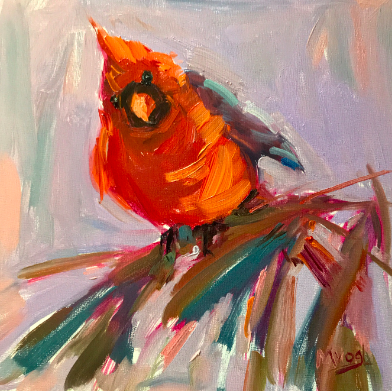 On the 4th of every month, we release four new bird paintings by Marissa Vogl. They go quickly … so make sure you’re on the list to receive notice before anyone else. I love how holiday traditions are expressed through different mediums and showcase art forms from different cultures. I’ve always loved decorating my family’s tree with Scandinavian ornaments passed down through generations. This got me thinking … who started creating ornaments to decorate Christmas trees in the first place? My curiosity got the best of me so I did some research. According to Culture Trip, Christmas ornaments on trees are thought to have originated in 16th century Germany. Germans decorated their trees with red apples, painted walnuts, and wool. 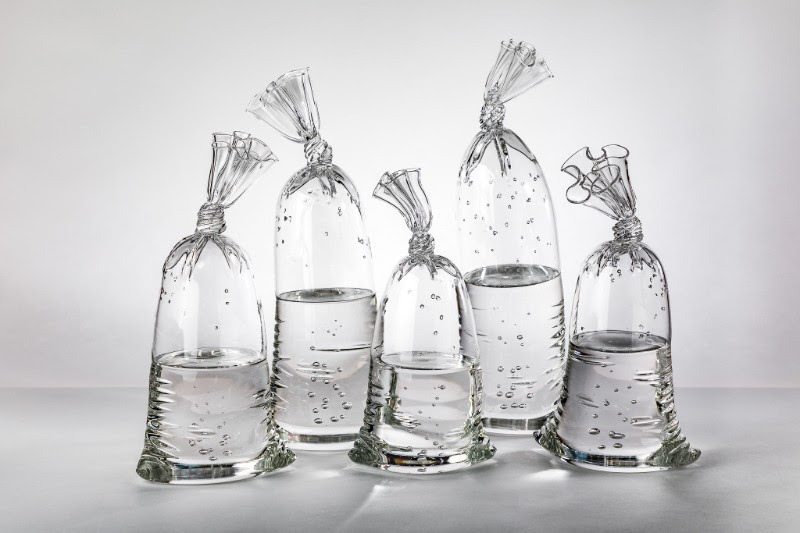 Wealthy families even used delicate glass ornaments or real silver tinsel. German immigrants eventually brought this practice over to the United States in the 18th and 19th centuries, but Americans didn’t really partake in the tradition until the 1840s when the Queen of England was depicted with a decorated tree. High-society Americans decided that if the Queen was doing it, it was good enough for them. 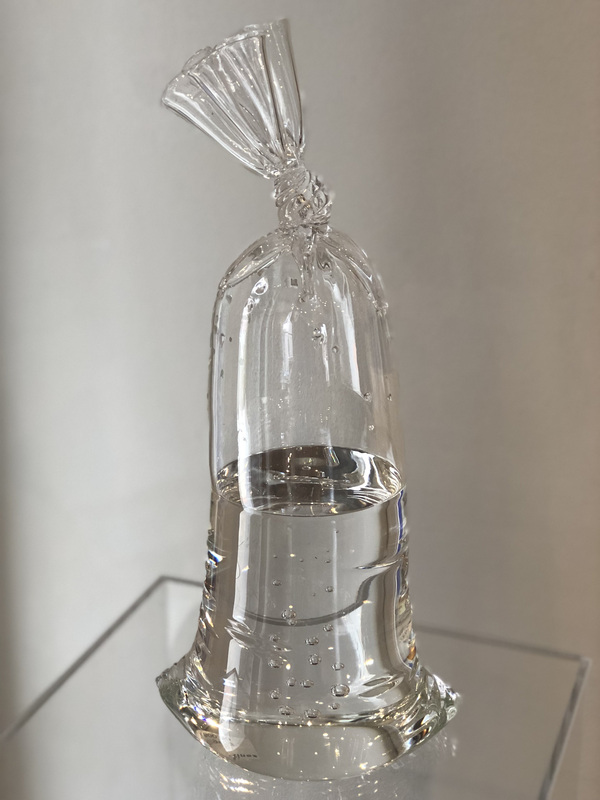 Merchants in the States immediately jumped at the commercial opportunity that decorative ornaments provided and started selling millions of dollars worth of imported German glass-blown decorations. Christmas trees have since become a festive medium of expression and tradition for families around the world. Forget the fruitcake. 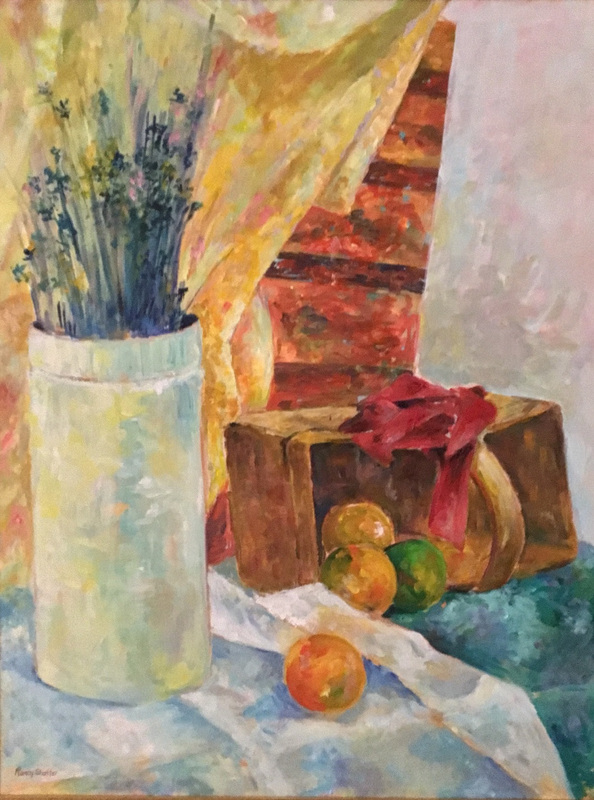 There’s no better gift than art! 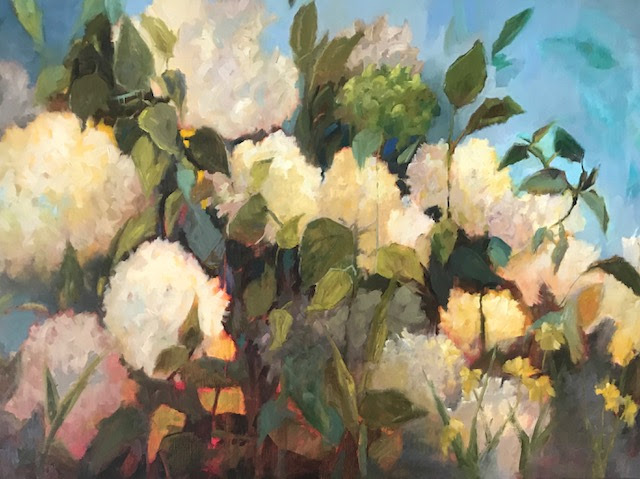 Meyer Vogl Gallery gift certificates are available in any amount. Call 843-805-7144 or email katie@meyervogl.com to inquire. 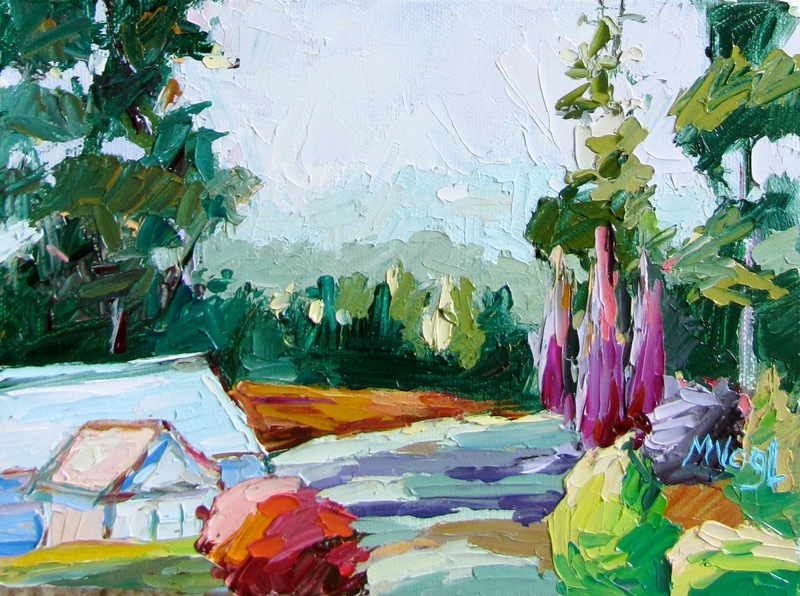 Not sure about you, but we could listen to Laurie Meyer talk about colors all day! She is our queen of color theory. 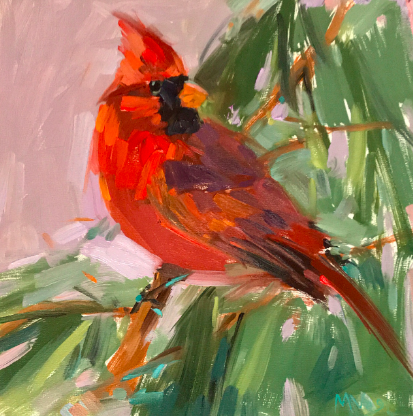 Laurie has a knack for choosing just the right pop of color to add to her gorgeous works, so we thought we’d share some of her color genius with you. 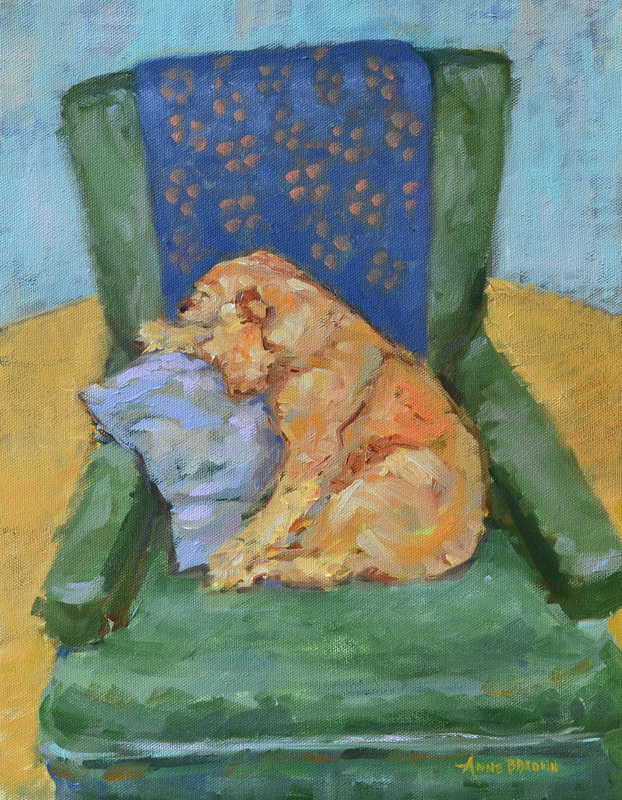 In celebration of artist Nancy Hoerter’s solo exhibition, we talked to the artist about growing and arranging her own still-life subjects, Charleston’s community of artists, and her dog, Lily. 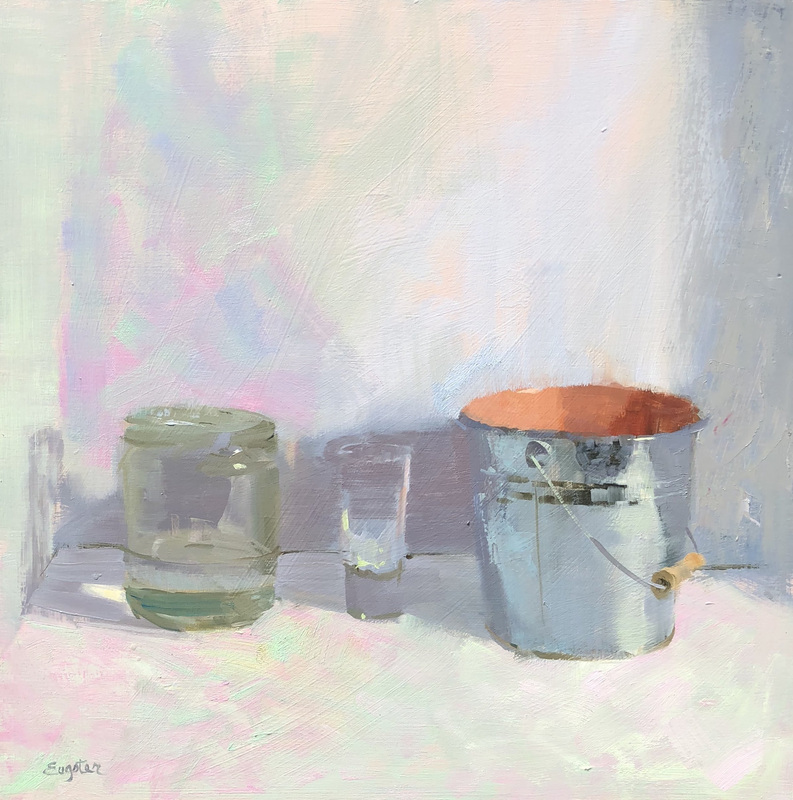 Meyer Vogl Gallery: The light in your paintings is stunning and delicate. How do you capture it? 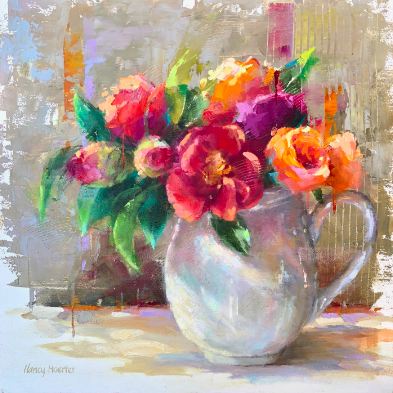 Nancy Hoerter: When I set up a still life, I study how the light falls upon the subject and look for a beautiful pattern that draws the eye through the painting. For there to be light, there must also be some dark, which gives mystery and depth to the painting. MVG: Tell us about your studio. NH: My studio is actually rather small, but efficient. I worked as a black-and-white photographer for years and even had a tiny darkroom in my house. During that time, I learned to work effectively in a small space; since then, I’ve remained comfortable in such surroundings. 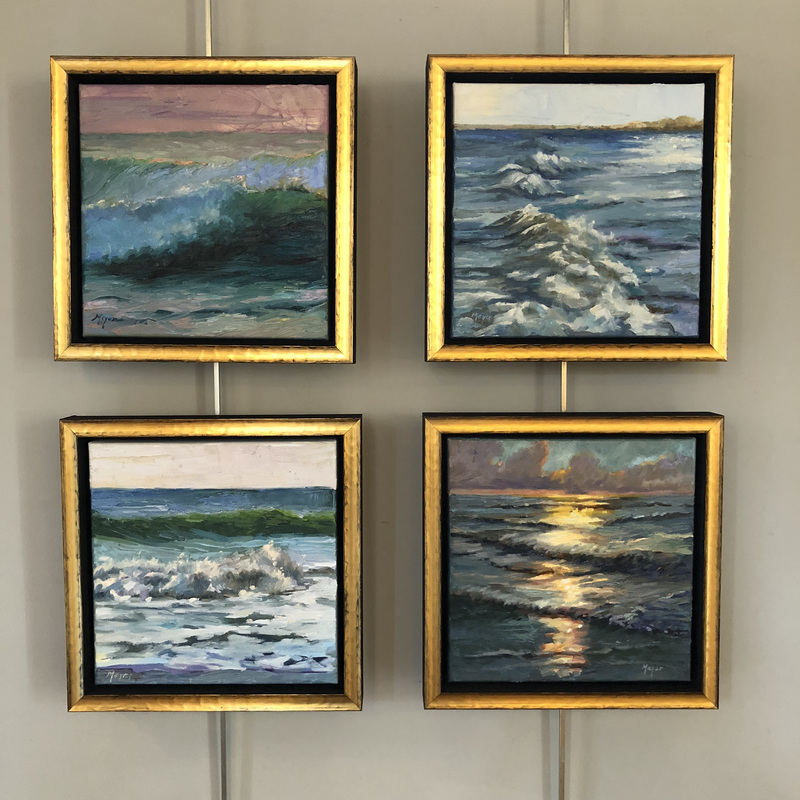 Because of the small size, I use a wall easel and also have mounted boards where I keep inspiration for future paintings. MVG: Do you create your own arrangements? Are the flowers from your personal garden? NH: Yes, I do create my own arrangements. For me, this is often when the concept for the painting begins. I grow hydrangeas and camellias and look forward to the seasons when these are in bloom. The process of choosing the greenery and flowers (with the help of my four-legged assistant, Lily) has become a very enjoyable and relaxing part of my work. 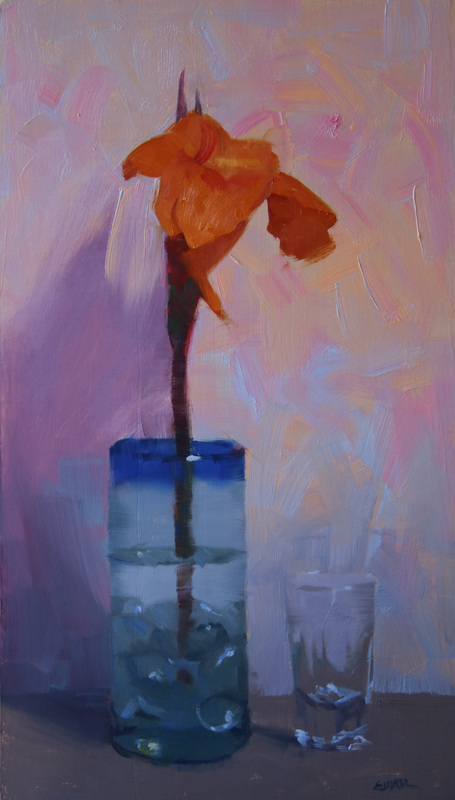 MVG: You’re known for your backgrounds, which are often abstracted and juxtaposed against a representational subject. How do you create the backgrounds? NH: I create my background in several stages, frequently using cold wax mixed with the oil paint. 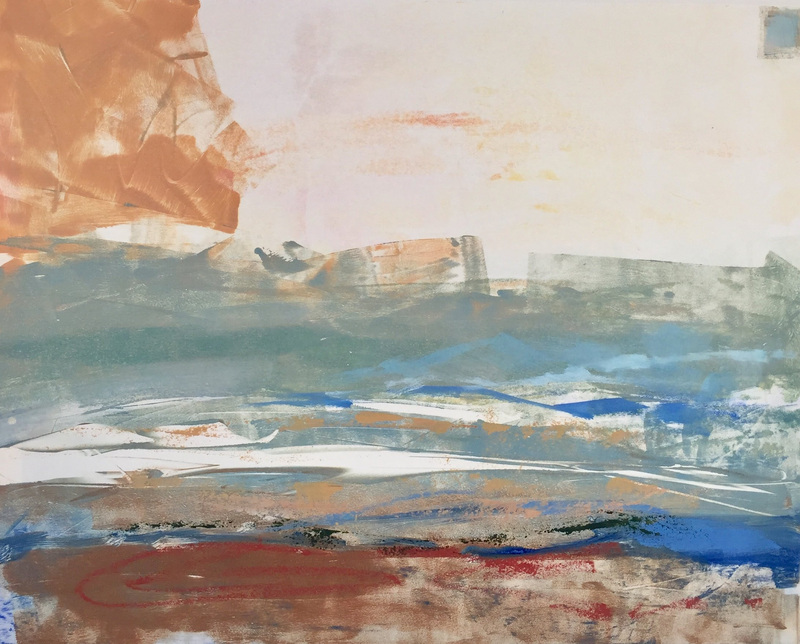 I apply my medium with a variety of tools, and after several layers have built up, I scrape certain areas to reveal the previous work underneath. This is a time-consuming process but is frequently one of the most enjoyable parts of my work. NH: Charleston is a wonderful place to be an artist. I’ve always found it important to be a part of a larger community of artists, and Charleston certainly provides that to me. There are so many fine artists here, and an amazing generosity of spirit. I am so fortunate to be a part of this community. MVG: What does your perfect day in Charleston look like? NH: A perfect day for me starts early in the morning with a cup of coffee in my studio. 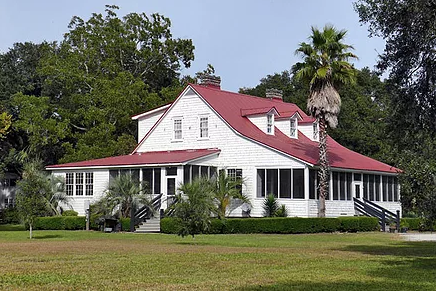 After a few hours of painting, I head to Sullivan’s Island for lunch at High Thyme. Spending the afternoon visiting my favorite galleries is definitely next on my list, and dinner practically anywhere downtown completes a perfect day. MVG: Favorite places to travel to be inspired? NH: I certainly have places I enjoy visiting, but for me living in Charleston provides a constant source of inspiration. That said, two particular trips come to mind: in San Miguel, Mexico, and Brittany, France, I discovered colors of light that are unique to those locations. I believe travel is an important avenue of growth for everyone, and particularly so for artists. I recently spent some time in the South of France and visited a beautiful city called Saint Rémy de Provence. It’s a picturesque town with century old trees lining farm roads leading to chateaus and fruit orchards. The summer sun heats the lavender and olive trees, making everything smell like you’ve just entered a L’Occitane shop. While I was there in Saint Rémy, I visited Saint Paul de Mausole, a 1000+ year old monastery dedicated to helping those who had suffered mental illness. The monastery is at the foot of the Alps, next to an ancient Roman site called Glanum. An olive grove spans out across the fields in front of the building, while the lavender, poppies, irises, and almond trees decorate the back. The monastery is best known for treating Vincent Van Gogh. Van Gogh spent a significant amount of time in Provence (this is reflected in his works). He lived in Arles for over a year, where he painted his famous Cafe Terrace at Night. This is also the city where he cut off his own ear. He was treated by Dr. Felix Rey, who had coincidentally treated another person whose ear had been cut off (this was not a common occurrence, so Van Gogh really lucked out with this doctor!). Dr. Rey became an influential figure in Van Gogh’s road to recovery. He also diagnosed Van Gogh with epilepsy, which he was treated for when at the monastery. The artist was very close with Dr. Rey and painted a portrait of the doctor as thanks for his compassion and care. After months of hospital treatment in Arles, Vincent Van Gogh checked himself into the Saint Paul de Mausole asylum on May 8, 1889 and stayed there until May 16, 1890. Dr. Théophile Peyron looked after Van Gogh during his time in the monastery and encouraged his art. The doctor and nuns knew that art was a means of emotional expression and could see that it helped Van Gogh heal during his time at Saint Paul. Even though the term “art therapy” wasn’t coined until 1942 by British artist Adrian Hill, his medical team believed in the idea. The nuns gave him a room with a window that opened up to a view of the almond trees, lavender, and iris gardens at the foot of the Alps. This room and view inspired a large number of his works. They also gave him a separate room for his art supplies. 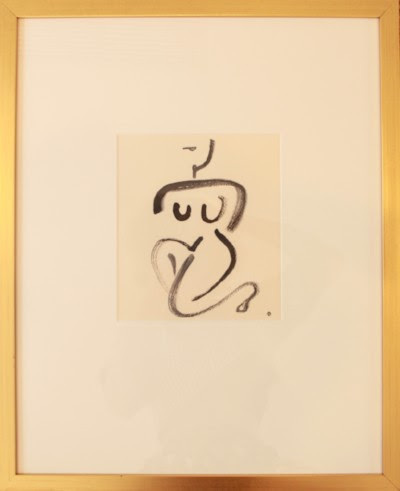 During his year at the monastery, he created 150 paintings and 100 drawings. And some of his most famous works were completed in Saint Rémy, including Irises, Starry Night (he painted 21 versions), Olive Grove, and Self Portrait.